Russia has made 1 million hectares (2.5 million acres) of arable land available to foreign investors ― and while that could be boon for Beijing as it struggles with limited supplies of soybeans in its trade war with the US, analysts are concerned about the quality of the plots available. Valery Dubrovskiy, director of investment for the Far East Investment and Export Agency, a non-profit organisation, said on Tuesday that several Chinese companies had already expressed an interest in the deal. "We expect most of the investment to come from China," he said. "We expect 50 per cent from China, 25 per cent from Russia and 25 per cent from other countries, like Japan and Korea." The announcement means that all of the 3 million hectares of arable land in Russia's Far Eastern Federal District is now available to farmers, Dubrovskiy said, adding that the space is suitable for dairy farming or the growing of crops, such as soybeans, wheat and potatoes. While this reflects a significant increase in cooperation between Chinese agribusinesses and the Far East in recent years, observers are sceptical about the quality of the land being offered to foreign operators. Dmitri Rylko, general director of the Russian consultancy Institute for Agricultural Market Studies, said most of the fertile land in the Far East region had already been taken, although Chinese businesses had increasingly been signing leases and other temporary agreements. "[The] best lands are occupied and have been heavily exploited by domestic farmers, so if they want more, it will be predominately in remote and low productivity areas," he said. Moscow has been trying for years to attract foreign investment to develop the region's economy, including handing out free plots to Russians in 2016, said Jiayi Zhou, a researcher at the Stockholm International Peace Research Institute. "[But] basic infrastructure and transport are poor. Peri-urban land, which is better connected to the market, may be more attractive to developers, but less available," she said. With the China-US trade war showing no signs of abating, and after Beijing slapped 25 per cent tariffs on soybeans imported from America, the legume ― for which China has a voracious appetite ― is very much in the firing line. Chinese farmers may therefore be attracted by the offer of a huge swathe of cheap arable land in Russia's main soybean growing region. Beijing has already significantly reduced its soybean purchases from the US, and as a result bought a record 850,000 tonnes of them from Russia between July 2017 and the end of May, according to figures from the Russian agriculture agency Rosselkhoznadzor. But that represents only a fraction of the 800 million tonnes of soybeans China has imported so far this year, according to the latest figures from its customs agency. 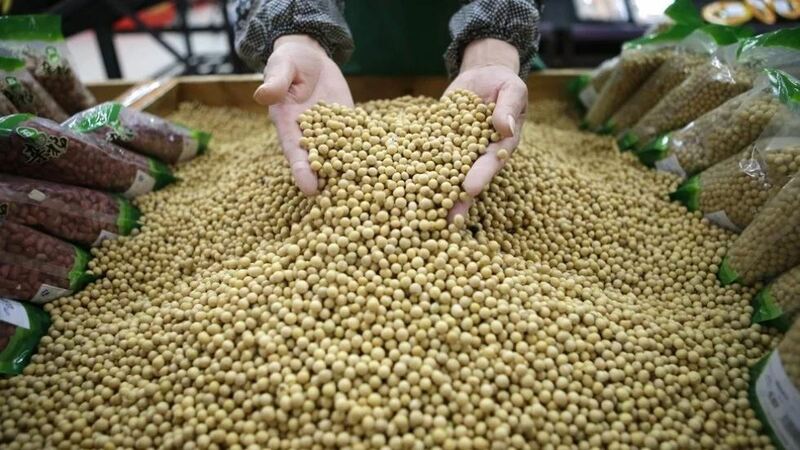 The agriculture ministry in Beijing said earlier it had ramped up domestic soybean production "significantly" to deal with the threat of shortages, and would make a further 1 million hectares of land available for growing the crop over the next two years. Zhang Xin, a Russian studies expert at East China Normal University in Shanghai, said that while Russia's offer of agricultural land was a sign of the apparent desire on both sides to increase cooperation, the deal still had obstacles to overcome. "In the Far East in particular there has been political resistance, including from residents, to Chinese companies renting land for agricultural production," he said. "[Their] concerns regard the large influx of Chinese workers and a dissatisfaction with Chinese farming methods … like using too many pesticides and fertilisers." And while the decision to make the land available to foreign investors was probably made in Moscow, "whether it can be implemented smoothly depends on local acceptance in the Far East", he said. Besides crops, the two countries have also boosted cooperation in the agricultural sector with Russia's purchases of pesticides and farm machinery from China. "But we need investment in the sphere of deep processing of agricultural products, rather than the usual cultivation of crops," Sinegovskiy Mikhail Olegovich, head of the economics team at the All-Russian Research Institute of Soybean.